The structure of a particular church isn't always clear, both to insiders and outsiders. You can avoid that problem with a church org chart, which shows how church leaders, officers, members and volunteers are organized to fulfill their duties. 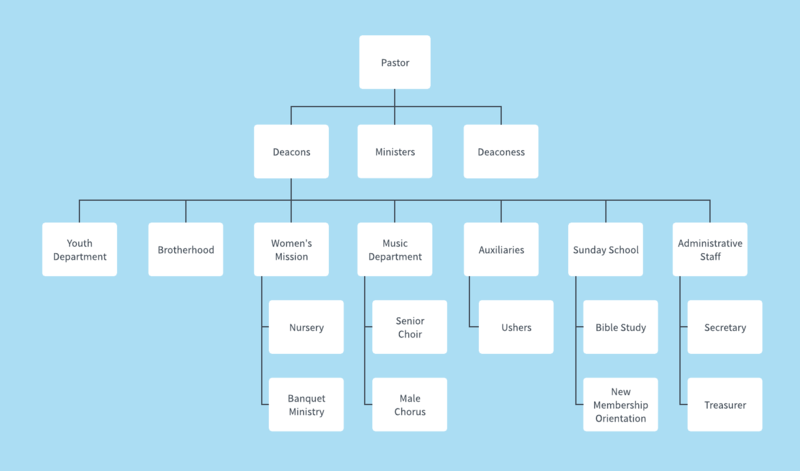 To visualize the organization of your own church, start with this free church org chart example and template. Sign up for a free Lucidchart account, then replace the text and shapes with your own.